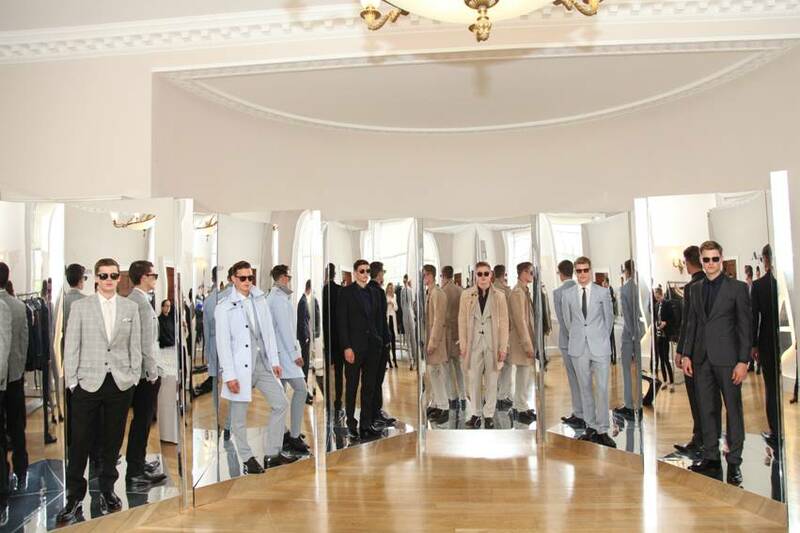 Yesterday at London Fashion Week’s menswear day Joanna Sykes presented an uplifting sense of British optimism for Aquascutum Spring Sommer 2012. It is her second season for the house that was founded in 1851 to provide stylish protection from the unpredictable British weather. Think shower-proofing wools and rain repellent cloth. The Design Director across menswear, womenswear and accessories focused on immaculately cut tailored pieces with a long and lean silhouette. The cotton parkas, bonded cotton duffle coats and suede and leather trench coats are casual and come in icey pale tonals: cool and muted neutrals, with accents of optic white and black. Aquascutum (latin for water shield) uses wool, mohair and silk that have been developed exclusively with English mills in Yorkshire and Somerset to keep the Englishness real. Corresponding handkerchiefs and ties in reworked archive designs worn with shirts in cotton voiles and piquets complete the tailored ensemble. Mr. Englishman, you will be looking flash this season.